PAPA NOEL face wash jelly looks like a beard of Santa and is supposed to make your skin bright and fresh. Honestly, this is the only product that I am not raving about at all. First of all, I am not a fan of the texture, it’s one big piece that you need to mass in your hands with a little water. Secondly, I have a sensitive skin, so I don’t like to change my face routine that much. SUGAR PLUM FAIRY lip scrub. I am in love with this scrub and in general with all Lush lip scrubs. I use it once a week and it helps my lips to stay smooth. This particular one has a nice, strong scent. Smells so good like a jelly candy. Besides, just look at this beautiful purple color! SUGAR PLUM FAIRY lip tint has deep purple color. Contains coconut oil, jojoba oil and wild orange. Beautiful color in general, but I rarely put these kind of shades on my lips.. 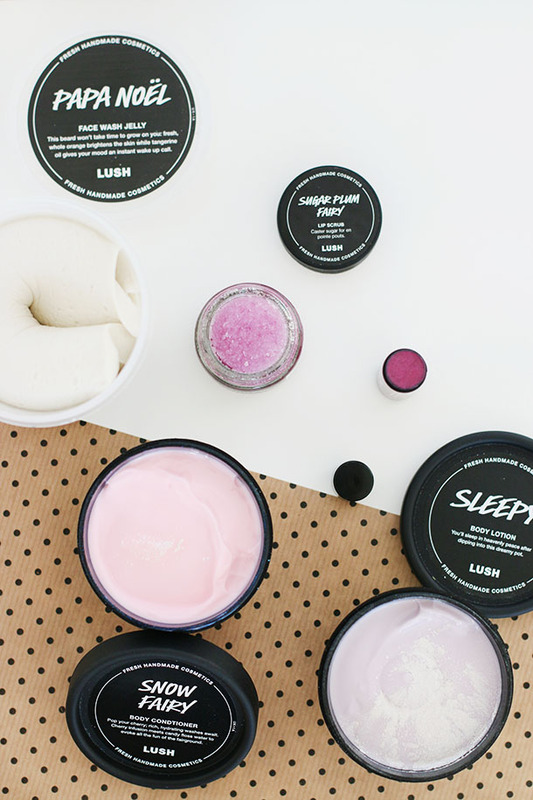 SLEEPY body lotion leaves the skin velvety soft and lightly scented. Almond oil and cocoa butter will hydrate well your skin for sure. Love this lotion! SNOW FAIRY body conditioner. Well, this thing has a very, very sweet scent, I am not sure if it is right up my alley, but despite the scent, I really like the effect of this product. It really makes my skin smooth and hydrated. 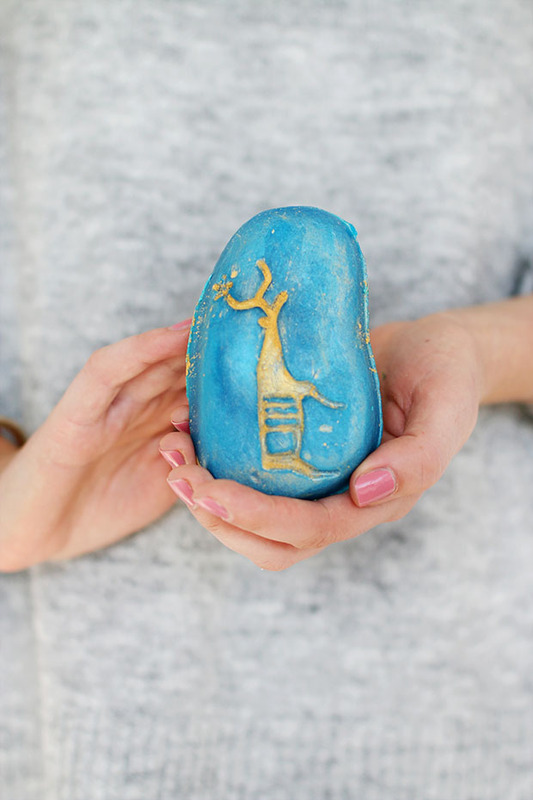 REINDEER ROCK soap looks super luxury because of its beautitul royal blue color. And just look at this cute golden reindeer. 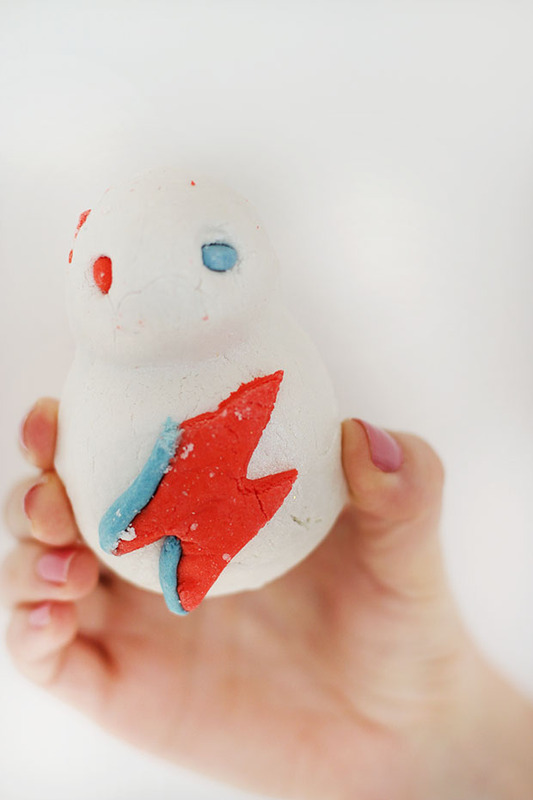 SNOWIE bubble bar is supposed to make you feel like one of the world’s biggest stars. I already like it because of the description :)) It has a fresh and light scent and contains grapefruit, neroli and rose oil. JESTER (on the left) is a reusable bubble bar, meaning you can enjoy a few baths with it, how great it is?! 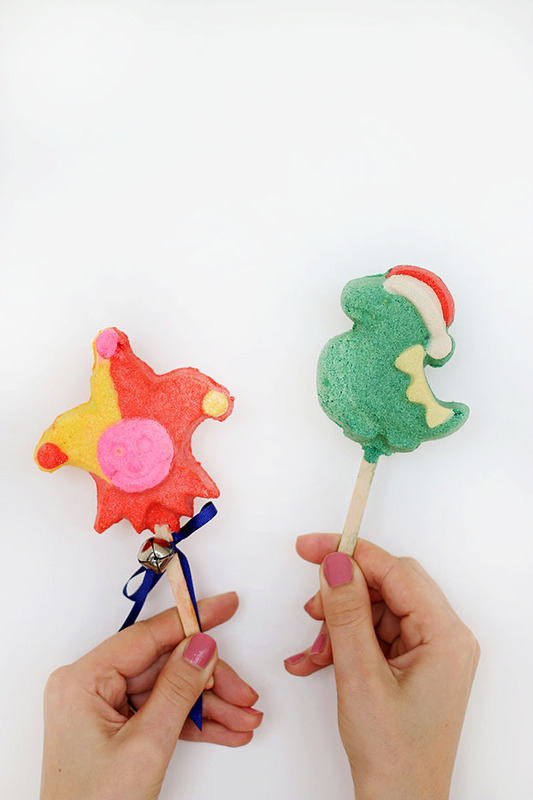 SANTASAURUS (on the right) – cute dinosaur with a little Santa hat on its head, also reusable! 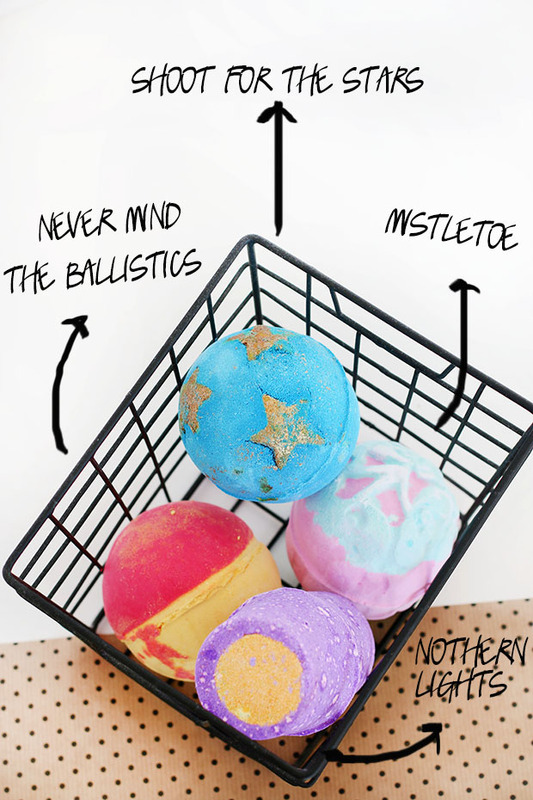 Here you can see few bath bombs that smell amazing and I am pretty sure they will make your bath so colorful and full of Christmas spirit! I haven’t used them yet, they are just too beautiful to use so fast. I hope you enjoyed this year’s Lush winter collection presentation. I have my few favorites like lip scrub, body lotion and conditioner. Love them, smell so good that it even makes me want to eat them :)) but I am not going to do that, obviously! To sum up, one of these Lush products could make a nice gift for a friend or family member of yours!! Let’s get started with Christmas preparation!